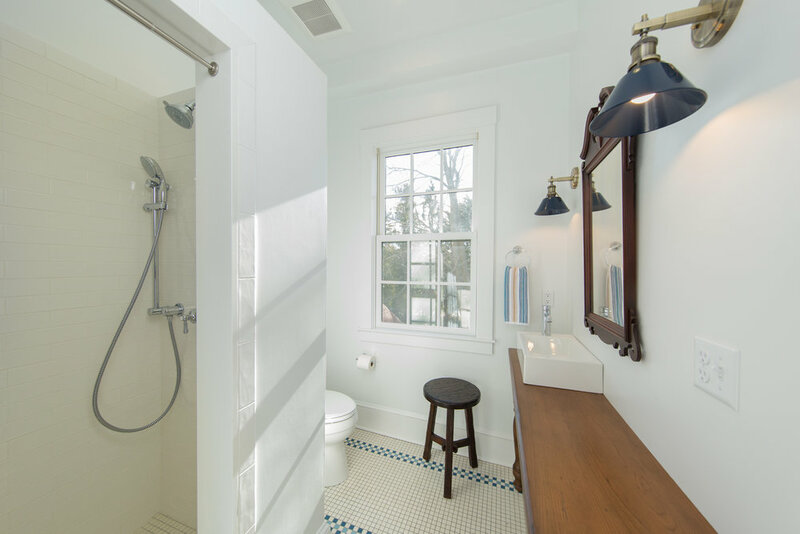 Converted 1800's Schoolhouse brought up to date while keeping that historic New England charm. 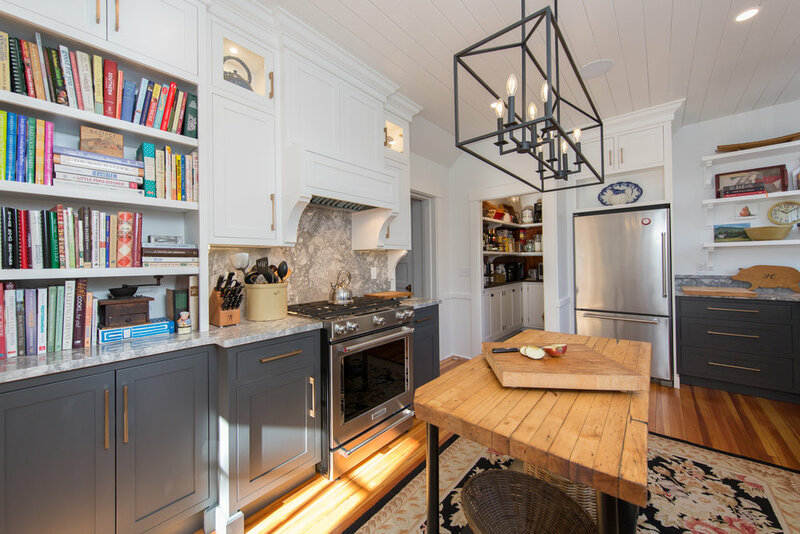 THE KITCHEN - Beautiful Plain & Fancy Cabinetry with quartzite countertops modernizes the space without taking away that historical charm! The pull-out LeMans is a great example of the cabinetry organization you can choose from. 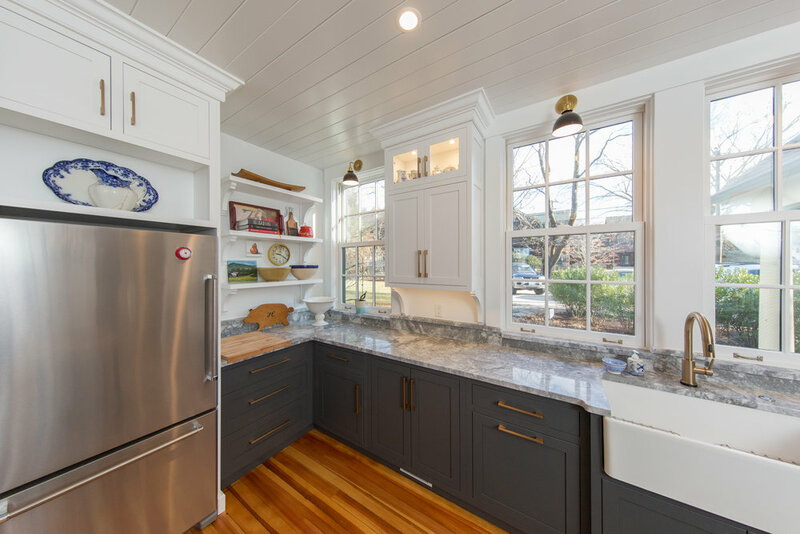 THE PANTRY: Peruvian walnut tops and maple cabinets look beautiful together. THE ENTRYWAY: Restoration glass catches all the light in this room. THE LAUNDRY: You would never know this hideaway laundry was even there! 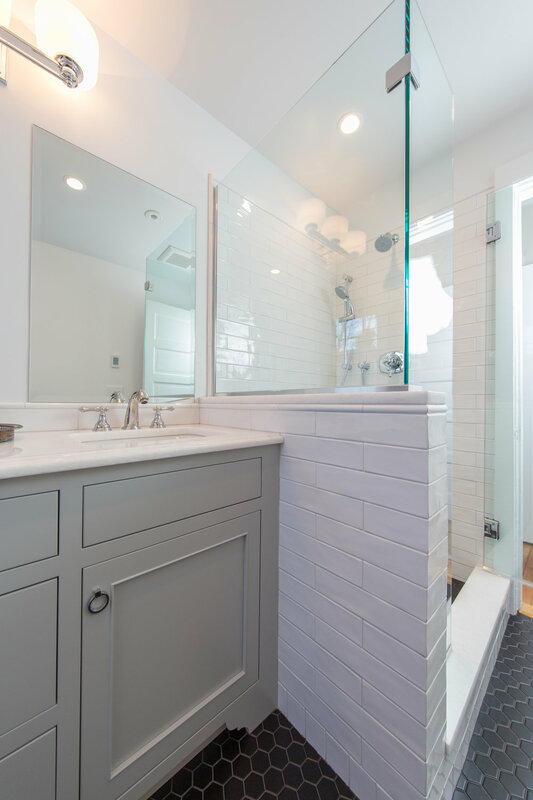 MASTER BATH: Gray cabinets and white quartz is always a good pair. Check out that amazing tub! 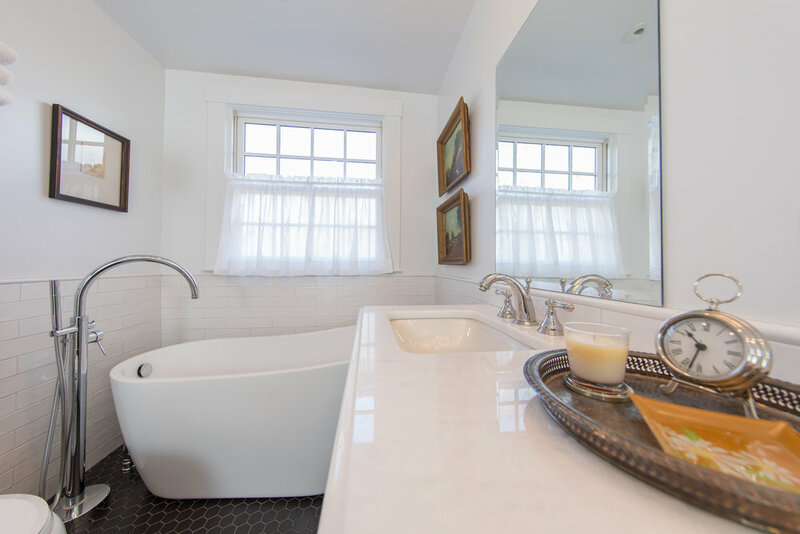 THE BATHROOMS: Clean whites and crisp lines make these bathrooms unforgettable.